Our Statement of Faith unites us with our family of Evangelical Free Churches worldwide. We believe in one true God, Creator of all things and Lord of the universe, eternally existing in three persons, Father, Son and Holy Spirit. We believe that Jesus Christ is the Son of God, being true God and true man, having been conceived of the Holy Spirit and born of the Virgin Mary. He died on the cross for the atonement of mankind’s iniquities, so that man may be delivered from the condemnation and power of sin. Further arose from the dead, ascended into heaven, where at the right hand of the Father, He now sits as the Advocate and High priest interceding for the saints. He is also the Head of the church, and will come visibly again from heaven to establish His kingdom and to judge the living and the dead. We believe that all authority in heaven and earth was given to Jesus Christ after His bodily resurrection. Therefore, it is the duty of every believer to be involved in spreading the good news of salvation in Christ by making disciples of all nations, baptizing them in the name of the Father and the Son and of the Holy Spirit. We believe that the Holy Spirit is the third person of the Trinity, who descended on the day of Pentecost to glorify Christ and continues His ministry today by convicting sinners, granting new birth, and indwelling and empowering believers for victorious and holy living. Therefore, He unites them into one body, the Church of Christ. We believe that man was created in the image of God to worship Him eternally, but became spiritually dead because of disobedience to God. When Adam our forefather and representative sinned, all sinned in him, and all were born in sin with a corrupt nature. Thus all live under the wrath of God. Yet God in His Grace revealed Christ and offers cleansing by Christ’s blood to remove us of our sinful condition as we respond in sincere repentance and accept Christ’s redemption for us individually. We believe this to be the work of regeneration by the Holy Spirit necessary for every believer. Therefore, Heaven, God’s eternal abode, awaits for all who have trusted in Christ and long to be in the presence of God. We believe that salvation is a gift of God and can only be received by faith in Jesus Christ alone. Salvation can be found in no one else, because no other name was given to mankind for the forgiveness of his or her sins that he or she might be saved. 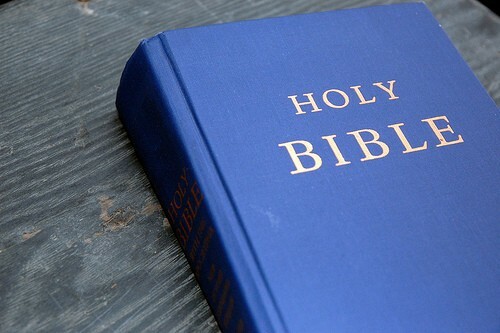 We believe the Scriptures, both Old and New Testaments, to be the inspired Word of God, the living Word of life, wholly truthful and trustworthy, and the final authority for all Christian faith and life. We believe that all men will be resurrected, the believers to eternal life and heavenly blessings, and the unbelievers condemned to eternal death in hell. We believe that Satan is the devil, the source of all evil. He is working in the hearts of disobedient men, and will one day receive eternal punishment.